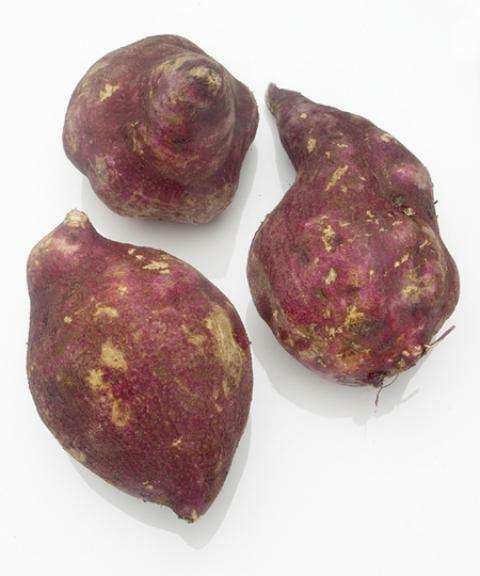 Source: Asia, Central America, Mexico and the U.S.
General Information: This potato embodies the flavors of a sweet potato, baking potato and chestnuts. Use as you would any potato; bake, boil, fry, mash or cream. The flavor is smooth, so don't overpower with too many seasonings.